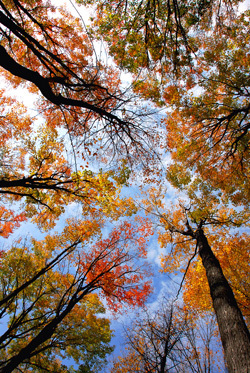 This month’s ‘Picture this’ resource features a beautiful image of autumnal trees. The vibrant colours of autumn have long provided inspiration for artists of all ages – and the image provides a superb starting point for a whole range of creative, seasonal activities. Show the online version of the image (below or download here) on the interactive whiteboard as the children enter the classroom, then let the children chat freely about the picture for a few minutes before trying out the ideas below. Brilliant picture! Great for stimulating discussion and firing children’s imagination.